Global Bilingual Solutions > Team > Alfred G. Perlini, Jr.
Alfred G. Perlini, Jr., is the Senior Vice President of Business Development for Global Bilingual Solutions. Al joined GBS in 2014, after being introduced to the company in 2013. Al has 20+ years of business to business experience, with his expertise on growing businesses through NEW business. He enjoys listening to the customer’s needs and weaknesses then figuring out how Global Bilingual Solutions can make their business more efficient and effective all by watching the bottom line for the client. Al is a graduate of Saint Joseph’s University in Philadelphia, Pa where he was part of the basketball program and earned a B.S. in Marketing. After college, Al was offered a position with Danka Industries/Eastman Kodak. After spending four years in the private sector, Al took an interesting career path after being presented with a position in the public sector. Al became a Chief of Staff in The Pennsylvania State House of Representatives and after that became a Deputy Director in The Pennsylvania State Senate. During Al’s time in the public sector, he worked on some public policy issues and had the opportunity to meet Former United States President George W. Bush, Former Speaker of the House Newt Gingrich, count-less U.S. Senators from Arlen Specter to Harris Wofford to Bob Casey, Jr. Furthermore, Al also worked with many United States Congressman. In addition, he also interacted with Governors Ridge, Schweiker, Rendell and Lt. Governor James Cawley. 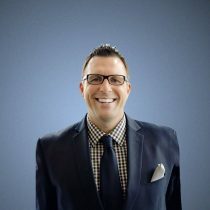 After four years in the public sector Al was anxious to return to the private sector doing some consulting work for Toll Brothers, Inc. From there, Al began The Perlini Group, LLC which was focused on Business Development, Corporate Training, Marketing, Public and Client Relations. Al helped over 40 companies in eleven years drive more business to their companies through building relationships and uncovering needs. His biggest focus is to build partnerships vs. vending relationships. Al resides in Bucks County with his family. He is an avid runner, biker and loves coaching youth sports in the community.